The Marble Store offers a reliable and competitive service across a wide spectrum of marble, granite and composite installations. From the initial concept and design stage, through to installation, commissioning and handover to the client, we will be consistent. The Marble Store operates through the United Kingdom and has successfully undertaken and completed major projects nationwide. Many of these projects were repeat business for large contractors working in hotels, retail outlets, clubs, restaurants and office blocks. TMS undertakes works within the domestic, commercial, retail, leisure and industrial sectors providing work for prestigious clients. TMG works for leading architects, interior designers and main contractors on many projects and we have offices in both London and Hertfordshire and are able to carry out works nationwide. The Marble Store is a forward thinking company, fully committed to a policy of self-finance, sustained and improved growth and reinvestment within the company in terms of personnel and IT to maintain and expand its existing client base. 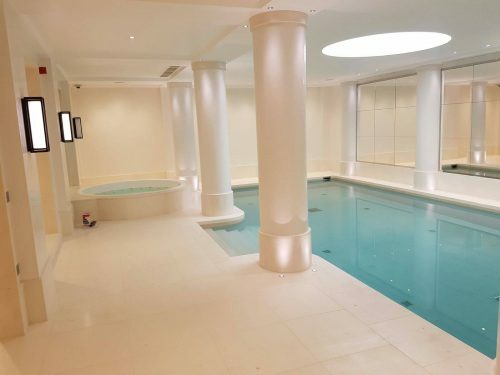 We are proud to have completed works at the Dorchester Hotel in Park Lane, 1 Hans Crescent for Harrods Estates plc and retails outlets such as Vision Express to name a few. 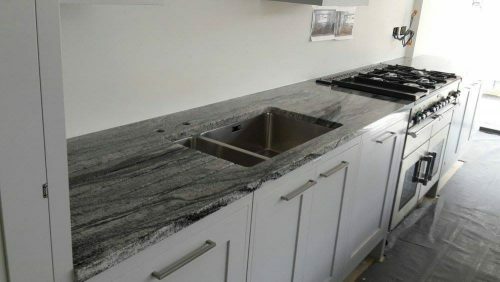 We specialise in crafting customised floors, walls, worktops, columns, fireplaces, shower trays and bathroom vanity cabinets from the best natural stone products available. We use the latest data imaging and drawing techniques to assist our trained artisans in the construction of our products and use the best possible quality marbles sourced from diverse natural stone suppliers around the world. Health and safety is as essential a part of our business as much as granite and marble is. Our certification under the CHAS scheme is recognition of our commitment. Of equal importance is our own determination to ensure the complete safety of our workforce and all the other individuals who work with us. Our entire site supervisors undergo specific Health and Safety training to ensure that they fully understand and meet the necessary standards at all times. We believe that ensuring high standards, enhancing the skill levels of our entire workforce, and emphasising courtesy and consideration, all lead to smooth running efficiency, productivity, delivery and repeat purchase. As a company we are committed to all our workforce and management becoming holders of a Construction Skills Certification Scheme (CSCS) card. We believe strongly in applying the Considerate Construction Scheme to everyone who may be affected by our work.